Melbourne, FL – July 6, 2016 – The Preeclampsia Foundation announced today that applications are now being accepted for their Fall 2016 Preeclampsia and HELLP Syndrome Patient Advocates Summit. The Summit is taking place October 13 – October 15, 2016, at the Buena Vista Palace Resort in Orlando, Florida. The application deadline to attend is September 1, 2016. The Summit is open to women who have experienced hypertension in pregnancy, such as preeclampsia, eclampsia, or HELLP syndrome, or family members of patients who have been affected or lost to the disease. 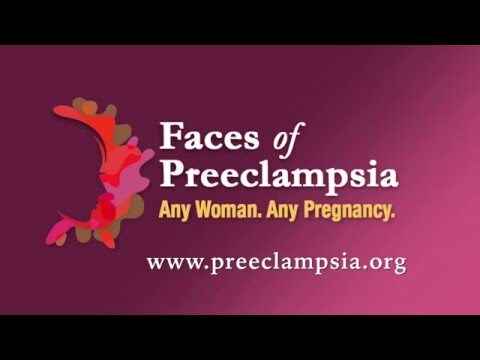 The Summit is intended for preeclampsia advocates who are serious about developing their skills in communication, storytelling, and preeclampsia knowledge to accomplish a greater mission of awareness and education in their local community. Attendees will be charged with taking the skills they have learned and returning to implement change in their local community on behalf of the cause. The Summit will include participants from all over the US and Canada. The extensive 2.5-day program will cover a variety of topics to improve the effectiveness of patient advocates through interactive media and storytelling training sessions, research updates, and educational seminars led by top experts in the field. Thanks to sponsorship and fundraising efforts by the Foundation, they are able to offer the training and meals for free to the first 60 participants who register. After that, a registration fee will be charged. The Preeclampsia Foundation has a long history of conducting patient symposiums to educate patients about preeclampsia as a medical condition. This is the first time that the Foundation has taken to provide formal patient advocate training to their national network of volunteers. "Patients continue to be at the center of our mission, both in terms of what we are able to accomplish through our volunteers’ efforts on a local level, as well as at the heart of the work we do on a national scale,” Poye added. If you’d like to become a trained advocate for the leading organization for preeclampsia research and awareness, visit the Summit Registration page and complete the registration application.